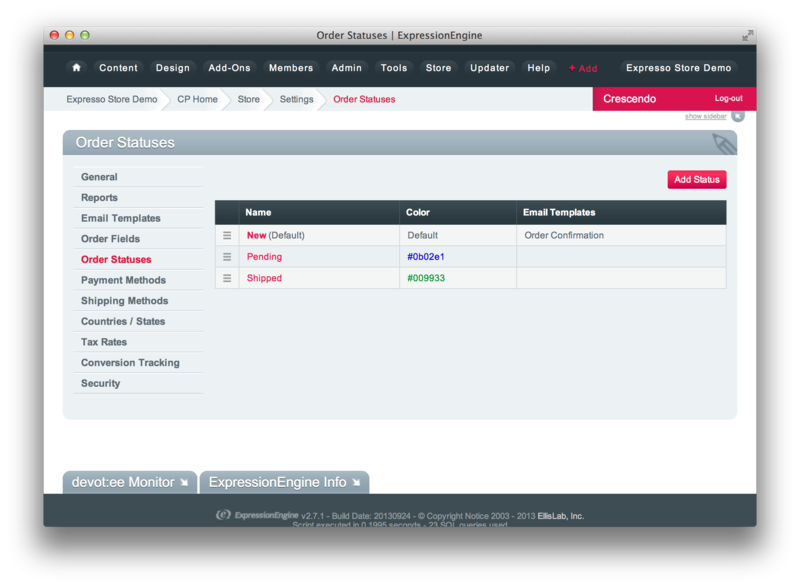 Order Statuses allows you to create any number of statuses which your orders can be placed in. 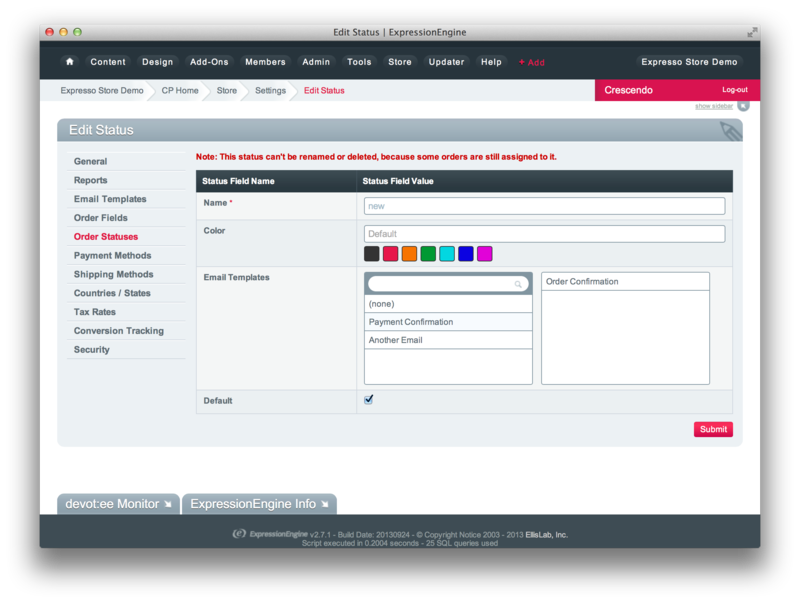 By default, only the New order status exists, and it is configured to trigger the Order Confirmation email template. Order statuses can be given a name, and highlight color (which will appear in the Orders Page). If you wish to make this order status the default for new orders, enable the Default option. If you select any Email Templates, those templates will be sent when any orders are changed to this status (and for the default order status, the emails will be sent when the order is first created). You can assign as many different emails as you like to each order status.